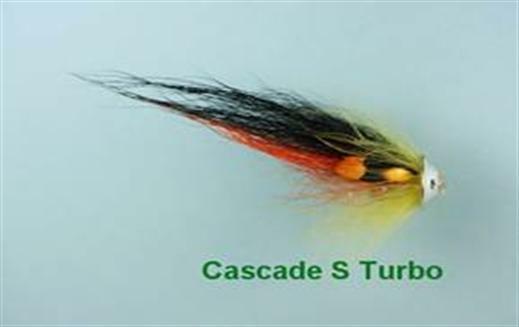 The Cascade S Turbo has plenty of electrifying and colourful movement and is effective in both clear and stained water. The cone uses simple physic laws to make your fly swim better than anything you have ever seen. The cone divides the water and creates turbulence that will make your fly move and look alive. The fly creates its own little turbulent stream where the materials in the fly can move even in the slowest or strongest current. Currently there are no comments about the Cascade S Turbo fly pattern from other fly fishermen yet.